Info: Created on 4th February 2014 . Last edited on 6th February 2014. It looks like an unusal modern almost-blackletter with a swing that made me smile. What a happy (and excellent) design. Congratulations! FontStruct Staff have deemed your FontStruction worthy of special mention. 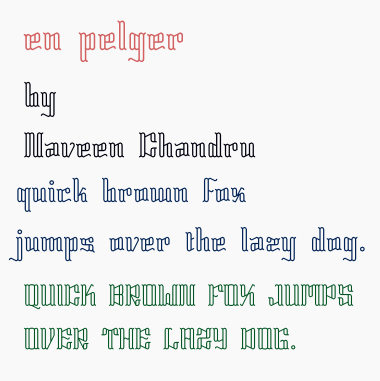 “en pelger” is now a Top Pick.